Rita's new Twizzlers flavor is here. 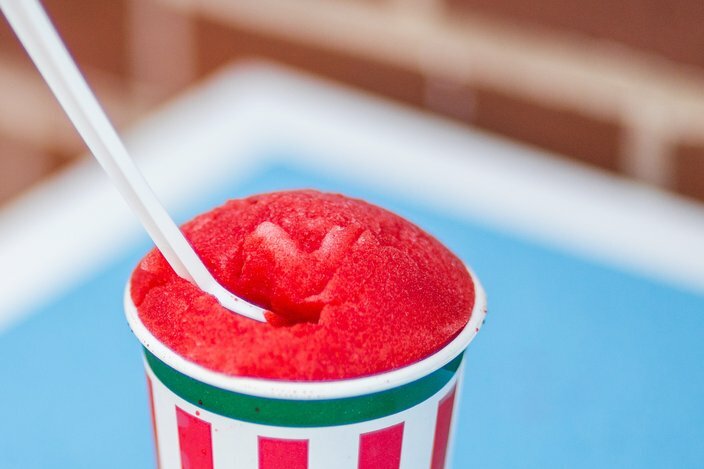 There’s nothing better on a summer afternoon—or fall morning or spring night, it really doesn’t matter—than a Cherry water ice from Rita’s. It is one of my all-time favorite snacks and I will go to the grave on that. (I would also like to go to my grave buried in a vat of Cherry water ice, if the law allows.) The actual cherry flavoring is just about the perfect artificial flavor and the chunks of real cherries are always a delightful surprise. 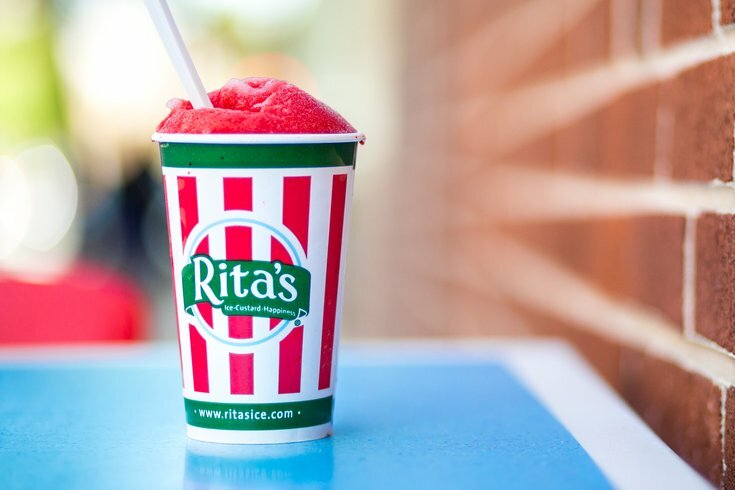 Over the years, I have watched Rita’s go from a somewhat-small local brand of water ice shops to the juggernaut it’s become, with over 600 stores in 33 states and several other countries. Just like its locations have expanded, so has its menu. You can now get everything from Stuffed Blendinis to frozen custard cakes. The water ice flavors—now called “Italian ice,” which I refuse to say ‘cause we all know what it’s called—have expanded at a quick clip as well. There’s Florida Orange, Guava, Chocolate Chocolate Chip, even Peanut Butter & Jelly. Yet still, regular old Cherry is my favorite and if that’s wrong, I don’t want to be right. Every once in awhile, the chain will partner with another company to create a water ice flavor based on another product. There have been flavors based on Swedish Fish, Sour Patch Kids, Peeps, even a Phillies Phlavor, which we previously reviewed. Later on this year, they will also unveil a collaboration with Hawaiian Punch. Their most recent team-up is with Twizzlers to create a flavor—(get this! )—that tastes like Twizzlers. The classic red strawberry Twizzlers twists to be exact. Rita's new Twizzlers Italian Ice. It’s an interesting choice. No doubt Twizzlers are the most famous licorice on the planet, slightly above generic black licorice which is only famous because nobody likes it. Despite their long and storied history, Twizzlers are still a big-selling candy and movie theater staple. There are many different variations and flavors, even ones based on Florida in the Flavors of America candy line. Coincidentally, this is Rita’s first flavor collaboration with Hershey’s, which owns the Twizzlers brand. The Twizzlers ice is a similar red shade to the candy but also to many of Rita’s flavors. The first thing I noticed is the change of texture between the original. Licorice is hard and chewy, while water ice is soft and almost unchewable. This is the kind of raw expertise that you can only get from a snack scholar such as myself. This is the kind of raw expertise that you can only get from a snack scholar such as myself." When it came to taste, they pretty much nailed the flavor of strawberry Twizzlers. There’s a dull sweetness to the original that’s never overwhelming, and the water ice version has that down to a 'T'. It’s close enough that it tastes like they actually froze and chopped up the twists. Unfortunately, there weren’t any bits of diced Twizzlers like cherries in the Cherry water ice, but maybe it’d be too much of a mess with the stickiness of the licorice. It’s close enough that it tastes like they actually froze and chopped up the twists." This is definitely a more subtle flavor than others on the menu, including Rita’s regular Strawberry flavor. This is strictly for fans of Twizzlers. If you really love Twizzlers, you could get one of the twists and bite the ends off so you can use it like a straw. I think that’ll work. Verdict: Perhaps not as satisfying for non-Twizzler fans, if you enjoy the candy, this flavor won’t let you down.